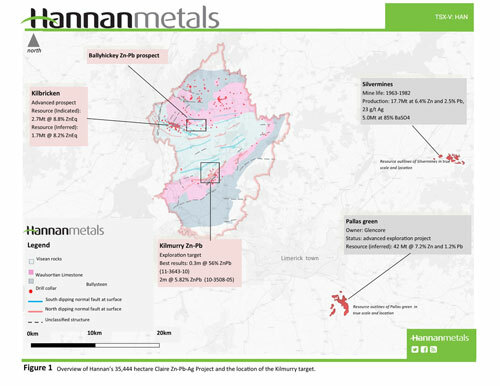 Vancouver, Canada – Hannan Metals Limited ("Hannan" or the "Company") (TSXV: HAN) (OTCPK: HANNF) is pleased to announce that diamond drilling has commenced at the Kilmurry project within the 100% owned Clare zinc project in Ireland after receipt of final drill permissions from the relevant authorities. 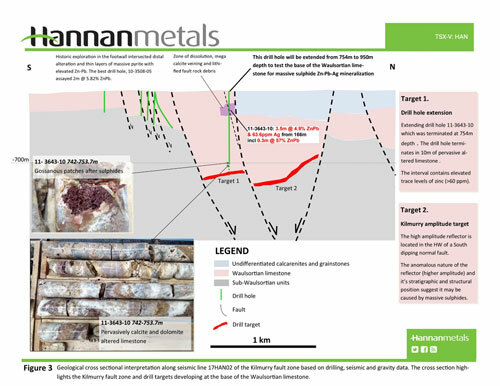 Hole 11-3643-10 showed dissolution textures, alteration and mineralization in the upper sequence of the hanging wall, including 0.3m @ 56% zinc + lead at 166m depth and extensive development of fault scarp debris material suggesting the Kilmurry fault was active during sedimentation. 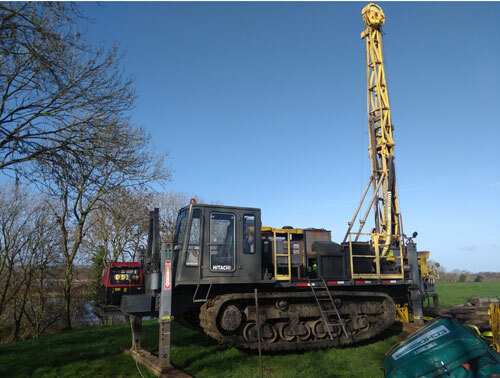 The drill hole ended with 3 to 4 times background levels of zinc (> 60 ppm) in highly altered limestone. 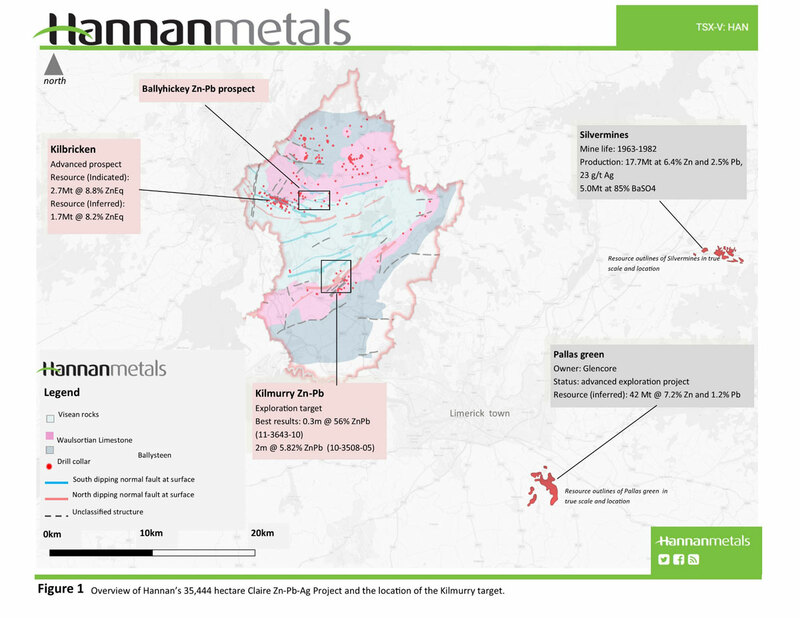 Several geological factors make the fault zone a prospective target for zinc-lead-silver mineralization. 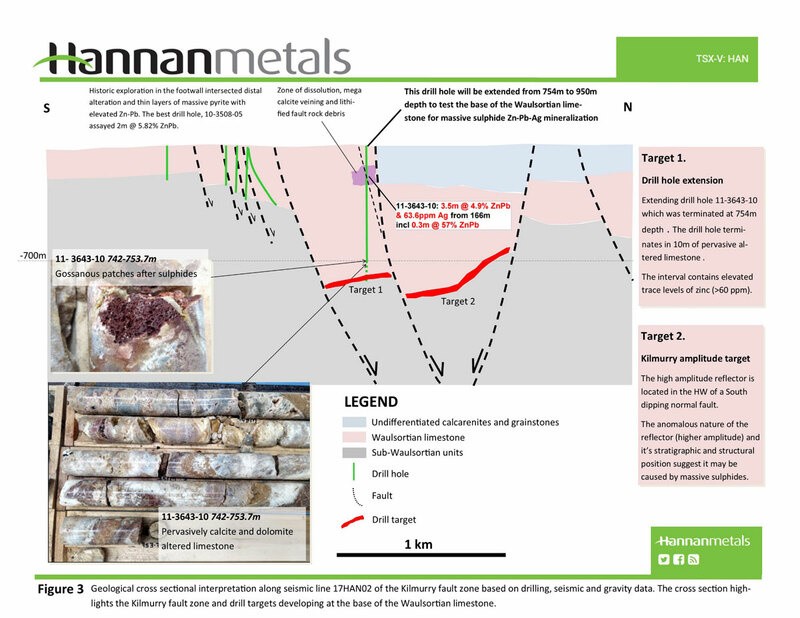 Firstly, the entire fault zone was active during the formation of the Waulsortian limestone. The individual fault segments are closely spaced and have significant vertical offset, with the maximum mapped offset being one of the largest basin-scale displacements (> 750 metres) mapped in Ireland. 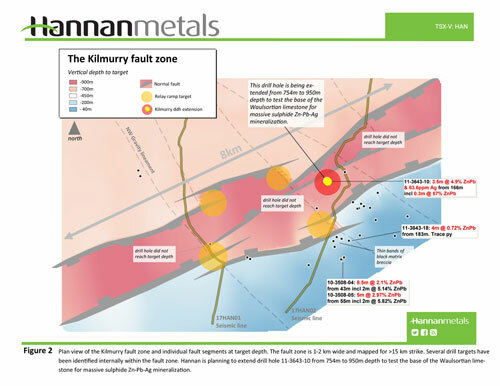 Closely spaced faults and significant fault offset along a relay fault system have a direct correlation with rock deformation and mineralizing fluid path ways in Irish-style zinc-lead-silver deposits. Photo 1: Drill rig sited over drill hole 11-3643-10 and ready to be extended by 200-250 metres to test the mineralized target zone at the base of the Waulsortian limestone. A lovely winter's day in Ireland!